Hi, I'm looking to buy a toner cartridge for our Brother HL-2150N. It's not easy to tell if the one shown on your website is the same as the one I have removed. Can I return it if it isn`t the right one? For the Brother HL-2150N we do advise that either the Brother TN2110 or TN2120 should fit in your printer provided the printer was purchased in the UK. Of course, if you do have any problems when you receive the cartridge then you just need to contact us. A good way to check that you are ordering the right cartridge is to check that the code of the cartridge you are ordering is the same as the one you have removed from the printer. 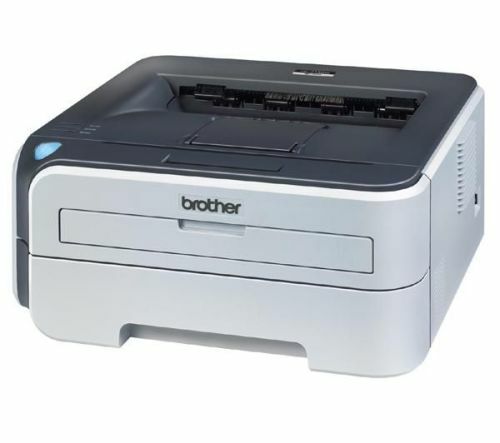 The Brother HL-2150N is a mono laser printer with built-in network connectivity. Printing speeds of up to 22ppm make the HL-2150N efficient at delivering your documents and this stylish model is a compact and well-designed printer for personal or office use. Brother use a separate toner and drum system for the HL-2150N for more economical use of the toner cartridges. If you need to replace your Brother HL2150N toner cartridges then Cartridge Save should be the first place you look to find a discount. You may have noticed that your local electronics or computer hardware stores will rarely provide you with a discount on HL-2150N laser toners. We regularly compare our prices online to find you the best deal and are therefore confident that our high quality range of original or compatible Brother HL-2150N cartridges will save you plenty of money over the working life of your printer. We take customer care to the next level by offering free next day delivery with every single Brother HL2150N toner cartridge. You can also expect to receive top of the range Brother toners because our cartridges are tested and approved for use in your printer. We support any purchase of Brother HL-2150N toner with our money back guarantee which should give you extra peace of mind and allows you to return any faulty or damaged cartridges for a full refund. Buy your Brother toner cartridges from Cartridge Save and you are bound to experience unbeatable prices, speedy delivery and our award winning customer service. The Brother HL-2150N is a small, compact and fast mono-functional printer. It is network-ready and performs well enough in small office environments. But Brother intends this machine for home use, which is where it really shines. At this price point, you will find few home laser printers that provide this kind of performance at a rate of 22 pages per minute. In addition, high-yield Brother HL-2150N toner cartridges are available for the device for a markedly reduced cost-per-page. The Brother HL-2150N is a squat, two-tone rectangle. A dark grey piece comprises the top and left side, and a light grey piece comprises the bottom and right side. The high-quality automatic paper feeder up top is not prone to jams so you do not have to babysit it, but it only has a capacity of 250 sheets. In addition, the paper output capacity is only 100 sheets. The printer is extremely light, and you can move it around with ease. The biggest advantages to the Brother HL-2150N are ease of use and speed. You can connect it to your PC, Mac or Linux computer using the backward-compatible USB 2.0 connection and be up and running within minutes. You can also connect it to the network via its built-in Ethernet connection, and then you can have access to it via the entire home network. And once up and running, the HL-2150N spits out high-quality pages at a phenomenal rate for home use, and it boasts a very short warm-up time. When your Brother HL-2150N toner cartridges run out, replacing them is not a big job thanks to Brother's considerate design. The printer also includes an excellent software package that consists of a range of useful tools including diagnostics and trouble-shooters. The Brother HL-2150N's primary drawback is the 181 MHz processor and the default 16 MB of memory, which you cannot upgrade. When printing simple pages, whether the print job is small or large, you are not likely to notice an issue with this configuration. However, as soon as you begin to print complex pages, especially in large, diverse print jobs, the HL-2150N will buckle a bit beneath that demand. So in those scenarios, you are likely to experience some delays and therefore not be able to maintain the 22 pages per minute average that makes this unit so attractive.